The wait is finally over. PokerStars has now announced a date in which they will go live in the state of New Jersey. On March 21st, PokerStars will make their entrance into the online poker industry of New Jersey, marking the first time the brand has been back in business in the United States since 2011. PokerStars will offer their services within the borders of the state, with geolocation technology used to determine if a player is located within New Jersey to take part in poker gaming. With the launch of PokerStars in the state, there will now be 18 online gaming sites to choose from. State regulators will test the site’s offering to be sure it meets all requirements before allowing the site to debut. PokerStars will provide poker gaming of course, but also table games and slot gaming. Amaya Gaming, the parent company of PokerStars, CEO and Chairman David Baazov commented on the news, stating that PokerStars is a global leader in online poker and trusted by customers for their robust and innovative technology as well as game integrity and world-class security. The company is ‘honored and excited’ to bring the PokerStars experience to New Jersey. 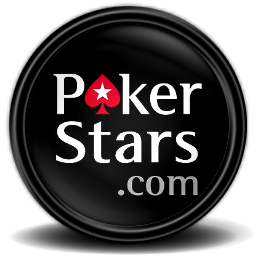 The announcement of the March 21st date marks the end of a long and difficult road for PokerStars. The brand had been banned from participating in online poker activity in the state due to former corporate officials who were in place before Amaya took the helm. In 2013, the brand tried two times to gain licensing but failed due to a suspension by the Division of Gaming Enforcement. Finally, the brand was granted licensing approval but had to meet certain requirements before being allowed to offer services. The end of these requirements is near and it will be exciting to see how the brand is able to operate in New Jersey and just how much traffic is seen in the initial days after the launch.